BMW SA has announced the despatch of its first proudly South African BMW X3 cars for export. More than 100 units on 27 wagons set off via train to the Port of Durban, marking a significant day for BMW Group South Africa as the company’s manufacturing plant at Rosslyn, Tshwane, continues to ramp up production of the BMW X3. Tim Abbott, CEO of BMW Group South Africa and Sub-Saharan Africa said it was “a big moment for us at BMW Group South Africa”. “It’s the result of a R6.1bn investment into the country and the culmination of three years of hard work and planning. It’s really exciting to know that BMW Group Plant Rosslyn has joined the enormous success story of BMW’s X models globally, and goes to show the power of combining good industrial policy and foreign investment." In terms of the Automotive Production and Development Programme (APDP), BMW Group announced a R6.1bn investment to prepare the Rosslyn facility, and the associates who work there, for X3 production - one of the biggest single automotive investments in South African history. In February 2018, Plant Rosslyn produced the last of 1 191 604 BMW 3 Series cars built over five model generations and 35 years. Upgrading the plant for X3 production has represented the largest infrastructure upgrade in the plant’s history, but, the automaker says, it has gone ahead on time and without any unplanned disruptions. The BMW Vehicle Distribution Centre in Rosslyn can accommodate up to three train despatches a week, with each transport capable of carrying up to 160 cars. BMW Group's state-of-the-art Rosslyn plant has an initial maximum capacity of 71000 X3 units a year. 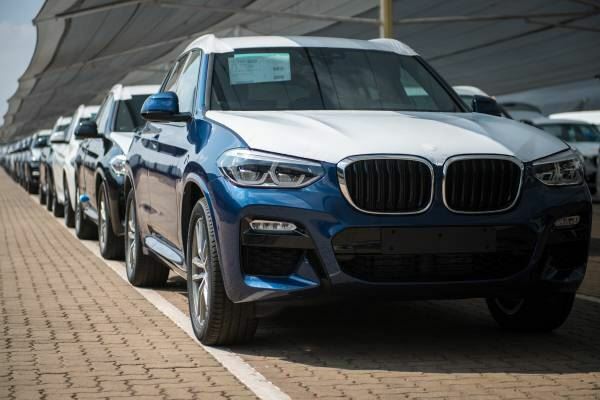 However, the company says it under-estimated the phenomenal demand for the new BMW X3 and, after a further R160m investment to increase linespeed, the maximum capacity of the plant was raised almost 10% to 76000 units a year. Within this maximum capacity, the group is confident that the plant will produce record volumes next year. This will add to the growing success of BMW’s X models across the world, which now make up more than 30% of BMW’s global volume.